By Charles Moffat - August/September 2010. Nobody wants to buy a house when the economy is behaving erratically. The recent American Recession or "Great Recession" as it is sometimes called, combined with the global debt crisis has caused many banks to be more wary about who they give loans and mortgages to, and the general population has become more cautious about getting into debt when they could face job losses in the future. Thus the percentage of people who feel confident enough to buy a house has been lower in recent years. The good news however is that Canada has a history of riding through these economic downturns with relatively little unemployment. The reason is because Canada is a resource driven economy, largely the result of mining of minerals, agriculture, lumber, fishing and of course oil. Canada's economy is so effected by oil production that our currency is sometimes referred to as the Canadian Petro-Dollar because our dollar often goes up and down depending on the price of oil. In Toronto and other major Canadian cities the economic focus is more on management, bureaucracy, services, entertainment and education. Manufacturing makes up less than 13% of the Canadian GDP. Finance, insurance and real estate however makes up a whopping 21% and construction is 6%. Most new construction takes place in the suburbs where prices can fluctuate wildly depending on the economy. Houses in older neighbourhoods like Rosedale or Leaside are more likely to keep their value (or stay within 10% of their value) regardless of ups and downs in the construction industry and Consumer Confidence ratings. Canada is going through a green renaissance. The future therefore is in houses that are eco-friendly and easy on the pocket book too. Currently the majority of construction companies and developers aren't too worried about geothermal heating, solar panels and windmills, but they have been making great efforts to add more insulation to homes so they are more energy efficient. Its the renovation industry in Canada that is really booming. Many homeowners are seeking to make their homes more energy efficient to save on gas and electricity bills. They're not so much worried about "saving the environment" as they are worried about saving money. Geothermal is the quickest of these to pay back the initial investment, plus it can also be used to air condition your home in the summer. Solar and wind are still worthwhile, but it takes longer to pay back the initial investment. Over the long term this means homes should go up in value simply because of all the extra renovations people have added to their homes, not just green renovations but general renovations. 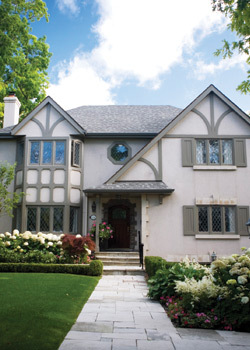 If you visit older neighbourhoods like Lawrence Park or Davisville (aka Davisville Village) you will often see people renovating older homes and making them more modern, eco-friendly and cheaper to heat / keep cool. The problem Toronto and similar cities are facing is the explosion in suburban regions which are ridiculously far from the central core of the city or manufacturing centres. There is a limit to how far people are willing to commute. In the case of Toronto this area has been extended due to TTC subway service and Go Trains, making it easier for people to commute back and forth. For people who drive from way out in Brampton (or farther) the commute to and from Toronto is a nightmare of traffic jams. Toronto has the longest commute time in North America and its not getting any shorter because every year there are more and more people buying houses in Toronto's satellite regions. The problem comes down to a shortage of homes closer to the downtown region that are #1: Affordable and #2: Suitable for the individual or family needs. For example there is a growing number of condos in the downtown core, but they're really most suited for single people or couples with no children. There's very few condos that are more family friendly at this point, but that is a growing trend. In the future don't be surprised to see more family-oriented condos that come with daycare, children's play rooms and afterschool programs. Likewise low income condos (the dirt cheap ones) we will likely see being more built in areas being promoted as trendy with the goal of attracting artists, musicians and other so-called bohemians. 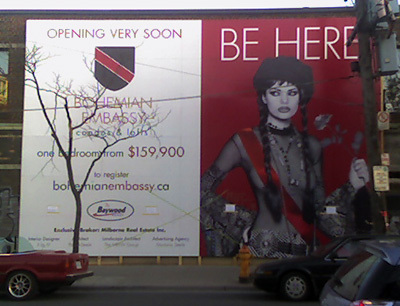 If you've seen the ads for "Bohemian Embassy" and similar condos you know what I am talking about. This is really clever advertising targeted at a young professionals who are creative (or at least think they are) and hoping to stay close to the trendy locales in Toronto (the fashion and art gallery district on Queen Street West) and settle down at the same time. There's also a growing number of Torontonians who really hate commuting (who can blame them?) and prefer to either walk or bicycle to work. This segment of Toronto's population will be the one to watch as they have a tendency to be the trendsetters. Their goal is to live downtown, walk to work in 5-10 minutes, walk home afterwards and they're willing to pay extra for that convenience. What we are likely to see therefore is more older buildings being ripped down and new condo highrises going up because of the pressure and demand for such structures. 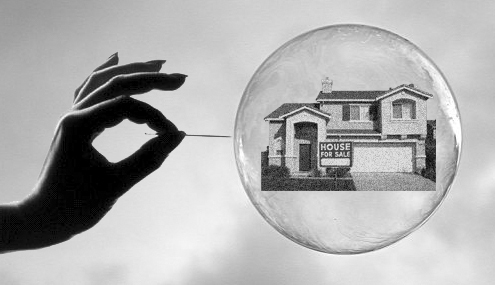 You may have heard that Toronto's housing bubble is going to burst sometime soon. Even now this is a growing phenomenon, but the good news is that it also means its a good time to buy. The trick is to tender offers which are approx. 10% to 20% lower than the asking price. In other words you are deliberately underbidding the seller and forcing them to compromise on the price because both of you know the housing bubble is bursting and prices are going to be dropping in the near future. All you're doing is preemptively lowering the price and speeding up the process because #1: The house isn't (or is soon not going to be) worth that much and #2: The seller isn't likely to get an offer that good if they wait a year and prices have dropped 20 to 30%. Remember in 2007 when the housing bubble in the United States started to burst? 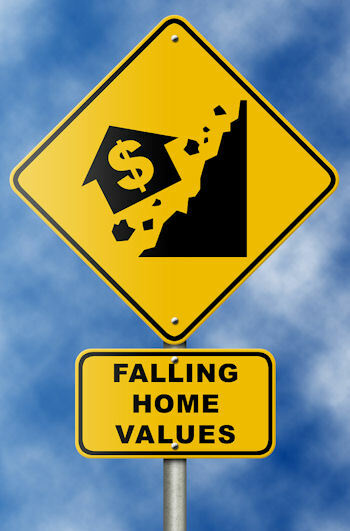 Housing prices dropped 40 to 50% of their previous value. Well now its Canada's turn. Don't expect the prices to drop that much because Canada's economy is more stable than the USA's (hence why our bubble bursting has been delayed by about 3-4 years). Right now the USA's real estate market is still in recovery mode. Home resales have hit a 15 year low in July 2010, down 27% compared to July 2009. It was the largest monthly drop since 1968. The US government was offering home sale tax credits in the Spring, but those expired April 30th and home sales in the USA have since gone into another slump. At the current pace many of the homes on the US market will be on sale for 13 months before they are sold unless prices continue to come down. According to Nobel Peace Prize winning economist Paul Krugman, Canada is not immune to the economic woes which have hurt housing prices in other parts of the world. His comments at the Canadian Bar Association in August 2010 paint a bleak picture of global conditions and that Canadians with low incomes who spend too much on their homes will be the first victims when the Canadian housing bubble bursts. According to Krugman Canadian housing prices didn't take off like the way did in Europe and the USA and had more moderate growth in prices, but neither did the home prices drop during the Great Recession when the American housing and mortgage industry collapsed. As a result home values in the USA are now considered worthwhile and Canadian homes are considered overpriced. The banking industry in Canada knows a crisis is coming and that home prices in Canada have to drop suddenly sometime, its just a matter of when. As a result Canadian banks have been pulling all the stops to ensure their mortgages and loans don't start bleeding red ink and the banks taking huge losses, but to do so they've been putting "bad mortgages" on the credit markets and letting stock market investors take all the risk so the banks will be fine financially when the markets finally turn sour. �Canada is by no means insulated,� says Paul Krugman. �Canadians borrow an awful lot. Savings rates have been very low. Household debt relative to income is very high here.� He's worried the global economy is stagnating and "drifting" due to high unemployment rates and low consumer spending, predicting that the US economy will continue to stagnate under current economic conditions. Politicians like Stephen Harper are warning Canadians not to panic, claiming that an USA style bubble burst won't happen in Canada despite Harper's mantra of deregulating banks and allowing them to offer more risky mortgages. If you remember it was too much deregulation of housing/mortgage securities which caused the collapse in the USA in the first place. Krugman has praised Canada's tight system of regulating banks and consumer debt, combined with its social safety net which prevents Canadians from being reduced to homeless people on the street or resorting to crime (unlike the USA where crime is rampant). Instead Canada �was spared the real horror. There is now a level of trust in the system.� Krugman also praises the fact the Canadian dollar isn't pegged to the US dollar. �The U.S. dollar soared against every other currency [in the 2008 crisis], which meant that during those really, really awful months when the world was coming apart at the seams, Canadian industry suddenly became much more cost effective," says Krugman. 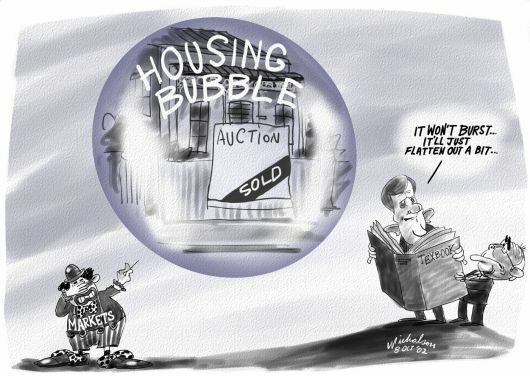 So the good news is when the housing bubble in Canadian cities does burst, Canadians will be well taken care of thanks to prudent banks, our social safety net and a competitive Canadian dollar. When most people think of condo living they think of downtown Toronto, but a new trend has emerged: Condos in the burbs, especially places like Markham, Brampton and Pickering. A decade ago such condos were a rarity, but builders and developers have noticed an emerging trend in which 46% (almost half) of all new condos being purchased are in the suburbs (July 2010 statistics) whereas traditionally central Toronto had 80% of all condo sales. Higher density for the 905 region (due to the Greater Golden Horseshoe Growth Plan), combined with affordability and the increasing acceptance of condo living have seen a rise in the number of farmers' fields being churned under and turned into condos and retail locations, which is much more sustainable than the previous method of building thousands of houses and destroying hundreds of acres of prime farmland. Most Torontonians probably won't know this, but the Toronto region was once known to have the best farmland in the province and like a bunch of idiots we paved over it to build suburbs. The good news however is that when you buy a condo in the suburbs you're going to be close to transit and stores thanks to the foresight to have the infrastructure built in advance. The local economy in the suburbs / 905 region is also weaker, since most higher paying jobs are in the 416 region. 65% of all news sales in July were condos, compared to 50% from previous years which shows people are rushing to join the condo market because its more affordable and stable (and less stressful). Tighter mortgage regulations and the HST are believed to have effected home sales, but don't seem to have hurt the condo market at all. The resale market meanwhile has been down 29% for the first two weeks of August. Do you love Toronto art and culture? What about Toronto poetry? Get feedback on your poetry and discuss with other Toronto poets by joining the Toronto Poetry Club. Join the poetry circle and share your poetry with other Toronto poets to get feedback. When the housing market in the USA collapsed in 2007 home sales dropped 66% by January 2008 and prices dropped 40 to 50% within the first 15 months of the crisis. Housing prices stayed steady and were even going up in value for the first part of the crisis but then began dropping rapidly in October 2007. By October 2008 home prices in the USA were on average 44% lower. Using that as a guideline for what will likely happen in Canada we can estimate housing prices will remain steady and even gain in value for the first little while (like they are right now), but then we shall see a steep decline in prices as "all hell breaks lose". Right now housing sales across Canada are down 30% in July 2010 (compared to July 2009). In an effort to combat the slowdown the Royal Bank of Canada, Bank of Nova Scotia, Canadian Imperial Bank of Commerce and Bank of Montreal all lowered their five-year, fixed-rate closed mortgage to 5.49%. With a discount homebuyers can lock in an interest rate of under 4% for the next 5 years. But a lower interest rate isn't going to stimulate home buying when everyone is expecting a housing market collapse. The average price of a home sold in July was still up 1% compared to last year, but the price increase is to be expected because that is what happened in the USA before the big collapse. A lack of home buying in Canada's two biggest markets, British Columbia and Ontario, also means home sale prices have become skewed because the two provinces account for 85% of all home sales in Canada. The inventory rate is climbing rapidly too. There is a lot more unsold homes on the market now and buyers are becoming very picky and are waiting for the collapse in home prices. Inventory is measured in how many months it will take to sell the current # of homes on the market based on the current rate of sales. Last year the rate was 4.4 months, this year its risen to 12.5 months and continues to climb. Many buyers are just sitting on the sidelines waiting for the market to collapse so they can pounce on a deal. While it is true the HST (Harmonized Sales Tax) did add a cooling effect on home buying in B.C. and Ontario, its really a minor issue. While the HST does effect the overall price of homes, it doesn't change the market situation in terms of the number of homes on the market. The volume of homes available, both new and preowned, has reached a saturation point and the market is 3 years overdue for a price correction. A few homebuyers have cited the HST as one of the reasons they are not buying right now, but its a relatively small percentage. The vast bulk of potential buyers are much more worried about a market downturn and are waiting for a stable time to buy. CREA (The Canadian Real Estate Association) pointed out in a recent report that the slow down in July was expected, especially since many buyers rushed into buying during the Spring prior to the introduction of the HST and when interest rates were lower and lending restrictions less strict. Mind you its important to point there is also HST rebates for houses under a certain price so the effect of the HST is mitigated. For example in B.C. any house under the price of $525,000 is entitled to an HST rebate. And even higher price homes the extra amount is minor. ie. For a $625,000 house the HST only adds an extra $5,000. That is pretty minor. Will home prices drop 10% in the next year? According to the TD Bank (and several other sources) the Canadian real estate market is 10 to 15% overvalued and is due for a market correction. Some more aggressive analysts suggest the dip could be as high as 30 to 40%. �The excessive pricing of Canadian housing in relation to fundamentals is now clearly correcting,� says TD Bank economist Grant Bishop. �We expect a moderate correction in prices over the coming year.� TD Bank is predicting �downward correction of 10 per cent in monthly average prices, followed by several years of stagnation of price growth,� says Bishop. Bank economists usually like to predict conservative estimates. So when a bank economist says 10%, what it really means is "at least 10%". They're not going to say outrageous numbers that might scare people. A more accurate estimate would probably be 20 to 25%, but we shall really to have to watch and see and hope its not as bad as the doomsayers. Affordability and higher household debts are bogging down home sales according to the TD Bank. �The current level of household debt flags the need for households to slow their borrowing" and housing prices have become so ridiculously high in Toronto that a market correction is needed to stimulate sales. National sales activity was down 30% in July compared on a year-over-year basis, the third month in a row to see a decline in sales. The Bank of Montreal agrees. �The market went up faster than most people have expected and it�s going down more quickly than we had anticipated,� says BMO Capital Markets senior economist Sal Guatieri. Transactions for the first half of the year was still up 5.6%, but mostly because people wanted to take advantage of lower interest rates and less loan restrictions before the HST came into effect. Homebuyers in the 2nd half of the year are better off waiting for home prices to drop at least 10%. CREA meanwhile is predicting even more dismal numbers in the coming months. �The gap is expected to shrink as the year progresses since activity rose sharply over the second half of last year, reaching levels that are unlikely to be matched in the final five months of 2010,� says CREA in their monthly August report. The Bank of Canada is planning to keep raising interest rates in an effort to encourage Canadians to limit their overspending and debt. Expect mortgage rates to either hold steady or go up in the next year. So far the Bank of Canada has raised interest rates three times in 2010, from 0.25% to 1.0% by September. However surprisingly Canadian banks are not following the Bank of Canada's lead. Due to the slumping real estate market Canadian banks are actually LOWERING their mortgage rates in an effort to become more competitive, trying to get the few customers that are actually available out there. 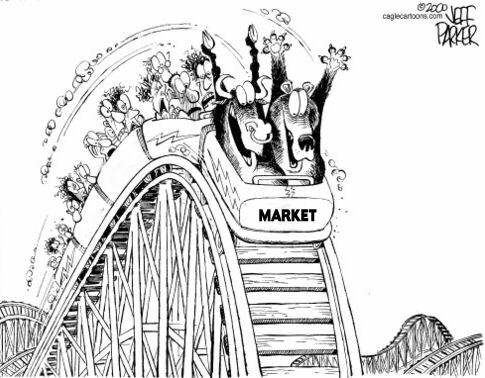 If the housing market continues to slump and bursts we can expect mortgage rates to go on a scary rollercoaster over the next couple of years, going down and then back up over the long term when the economy goes into recovery mode. If you're looking for deals and homes that will retain their value because they're in a more central (and therefore more desirable) location people would be recommended to shop for homes in the mid town or up town region of Toronto. The area around Mount Pleasant for example has plenty of homes on the market and reasonable prices, and because they're in such a good location they will keep their value even if the rest of the market turns sour. The area of Bennington Heights for example is situated just South East of Mount Pleasant Cemetery, close to DVP, parks, schools and the subway. What more could you ask for? During Spring 2011 the real estate bubble in Toronto will burst, and it will hurt home prices in some regions of the city by 25% to 40%. Other parts of the city will likely see only a 10% to 15% reduction. In the resulting recession and recovery a number of things like the interest rates, taxes on home sales, etc. will fluctuate up and down. By 2013 the economy will have gone into recovery mode and we will hopefully have a more stable, majority government by then which will regulate the mortgage industry. Barring no accidents or catastrophe's 2015 will see large numbers of babyboomers selling their older homes, buying condos or moving to "retirement" towns north, west or east of Toronto. The following period will be hot for both home sales and condo buying. Expect home prices to remain steady and condo prices to climb. By 2020 the babyboomers will have calmed down and home prices should go through a period of moderate growth. Bank of Canada raises rates again by Charles Moffat. Home sales down 37% by mid July by Charles Moffat. Home sales drop in August by Charles Moffat. Home sales tumble by Garry Marr. Housing prices due to fall, says think-tank by Tony Wong. Housing prices dropping suddenly by Charles Moffat. Housing starts down in July by Charles Moffat. HST a prime suspect in home-buying chill by Wendy Stueck. Krugman warns Canada not immune by Kirk Makin. Move to suburbs can�t offset condo sales slump by Tony Wong. Real estate market correction coming by Charles Moffat. TD forecasts 10% drop in home prices by Tony Wong. The buyer: In the driver's seat by Tony Wong. The seller: In the hot seat by Tony Wong. 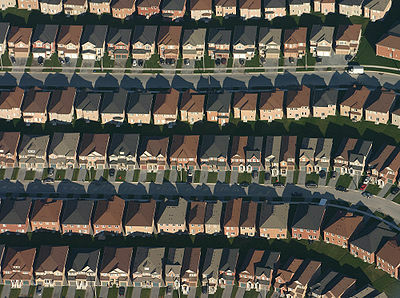 U.S. resale home market hits 15-year low by Associated Press.